Een revolutionaire gepatenteerde formule - FDA, Benzoyl peroxide and Salicylic acid - Anna is Clear® verbeter je microbioom. Een natuurlijke manier om een onzuivere huid met puistjes, pukkeltjes en mee-eters te verhelpen en voorkomen. January 2014: The American FDA (Food and Drug Administration) has placed over-the-counter (OTC) acne products containing benzoyl peroxide, salicylic acid, or both on its latest quarterly list of products to monitor because of potential signals of hypersensitivity and anaphylactic reactions. ……The table below lists the names of products and potential signals of serious risks/new safety information that were identified for these products during the period July - September 2013 in the FAERS database. The appearance of a drug on this list does not mean that FDA has concluded that the drug has the listed risk. It means that FDA has identified a potential safety issue, but does not mean that FDA has identified a causal relationship between the drug and the listed risk. If after further evaluation the FDA determines that the drug is associated with the risk, it may take a variety of actions including requiring changes to the labeling of the drug, requiring development of a Risk Evaluation and Mitigation Strategy (REMS), or gathering additional data to better characterize the risk……. 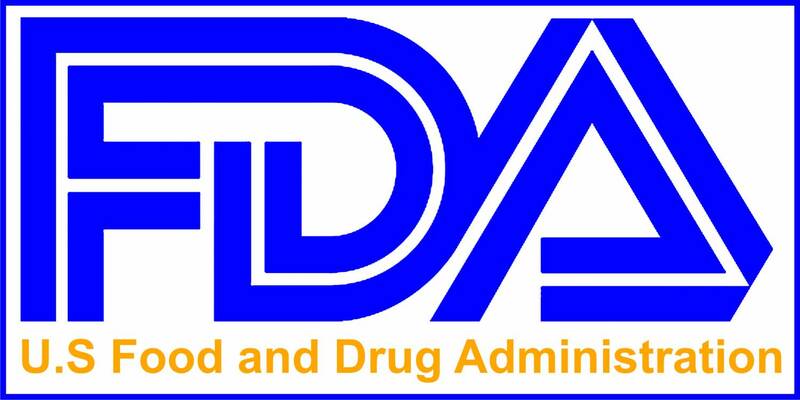 FDA is continuing to evaluate these issues to determine the need for any regulatory action. Lately the announcement above has been circulated over the Internet. Please note that Anna is Clear never doubt the track records of existing OTC (Over the Counter) products to prevent, cure or solve spots, pimples, commedones etc. For over 30 years these products have used the same active ingredients: Benzoyl peroxide, Salicylic acid, AHA’s, sulphur, zinc, tea tree etc. And these actives have showed to be more or less successful. But each one of these active ingredients has next to their success also its own side effect. Some of them have more side effects than others (also depending how an individual person reacts) and side effects can vary from anaphylactic reactions (a severe, whole-body allergic reaction to a chemical that has become an allergen**), premature aging, semi-permanent dry skin and hypersensitivity etc. Based on the results of our clinical tests our patented formulation should fit perfect in the enormous list of existing OTC products and brands worldwide. We’re also convinced our formulation will outperform many of these well-known and unknown brands. We hope new tests with dermatologists which are in process will support and justify our believe. But next to the performance there’s one huge difference between Anna is Clear and existing products on the market. Anna is Clear isn’t based on any of the above mentioned ingredients! Anna is Clear is a 100% natural formulation based on a rye ferment. The formulation is virtually edible. Neither will our formulation, as many OTC products do, attack the healthy bacteria living in perfect harmony on our skin. The formulation will only influence and normalize the Propionibacterium acnes, the causative bacteria for pimples, zits, commedones etc. Once again: Anna is Clear will do this 100% natural, without any harsh ingredient and absolutely without any side effects! This makes our formulation so unique and this is also why we’re so excited about it! Our repeat sales prove we’ve fans (call them ‘trendsetters’ :-) ) who like the result given and the absence of any side effects. But now we have to find a way to get the world familiar with our formulation as another option next to traditional active ingredients. Strange thing is that (or it isn't strange’ as we all know how the world acts: it’s all based on money, money, money…. L ) many beauty experts, dermatologists, beauty bloggers and beauticians aren’t interested in new innovative products. Sometimes because they’re sceptical, what we love! Nothing better than to convince sceptical people by data and results! But mostly because they branded their own brand based on traditional ingredients. Or because they’re sponsored-, connected-, supported financially etc by brands. Or just because they want to get (sometimes largely) paid to review-, and write about products. Etc, etc…. So why don’t we need to hire people to answer our phone and emails….? What’s the reason we don’t get messages from Dr. Oz, Beauty Bets, Paula Begoun and other people for samples or back ground????? Please share your good news and help us to make this world Clear! Please consult with a qualified doctor regarding any skin issues. Anna is a cosmetic product and not a pharmaceutical product as the symptoms of acne return after discontinuation of the treatment. On average the inflammations came back after 28 days within our group of volunteers. NOTE: Immediately upon restart of treatment the symptoms disappeared again.